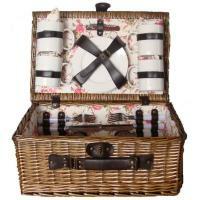 Open your picnic to a whole new world with the Picnic & Beyond Tuscan Basket. 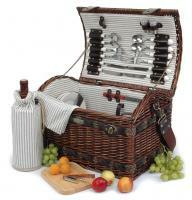 This deluxe willow basket features a unique design that opens from the top and front to reveal all the accessories four people would need to picnic, including ceramic plates, flatware, wine glasses, and napkins. 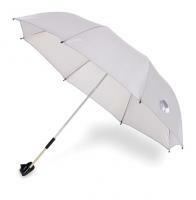 As a bonus, the basket also comes with a set of three barbecue tools, a wine opener, and a cooler bag. The inside of the basket reveals a classic pattern that plays off the traditional willow exterior. 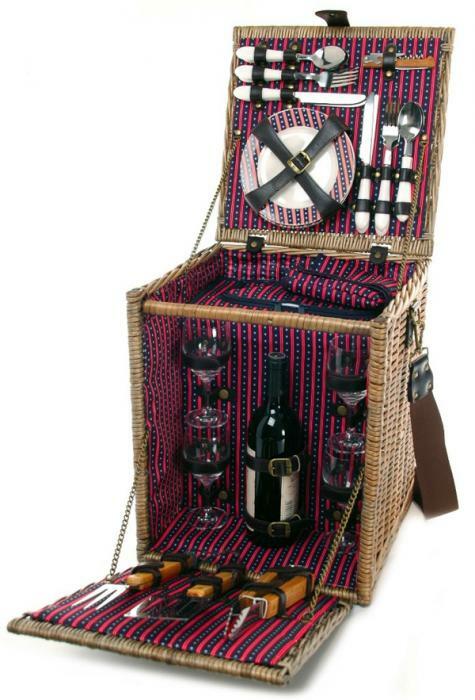 This larger basket even has straps to hold a bottle of wine.